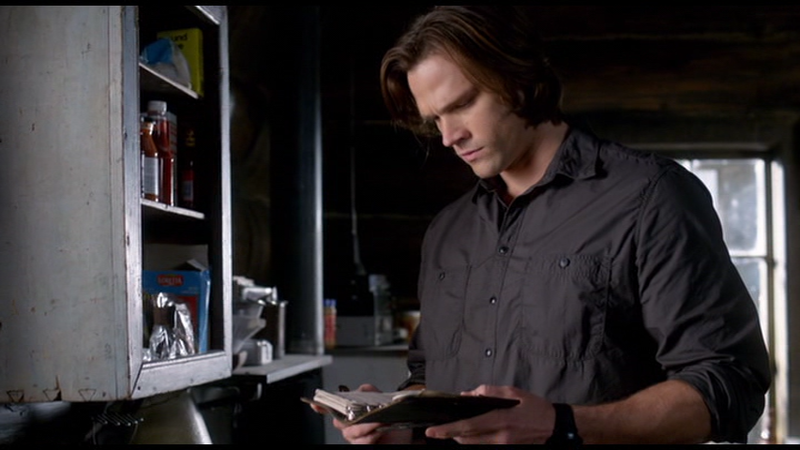 Uncommon for Sam’s wardrobe is this plain dark shirt. I’m not exactly sure what colour one would call it – Grey? Dark purple? Charcoal? It does up with snaps and has two flapless breast pockets. This shirt first appears in Adventures in Babysitting (7x11), Sam wears it in the first two weeks after Bobby’s death.